Whenever I think of my mom's wardrobe, the first thing that comes into mind is her wide array of chic ponchos and wraps. 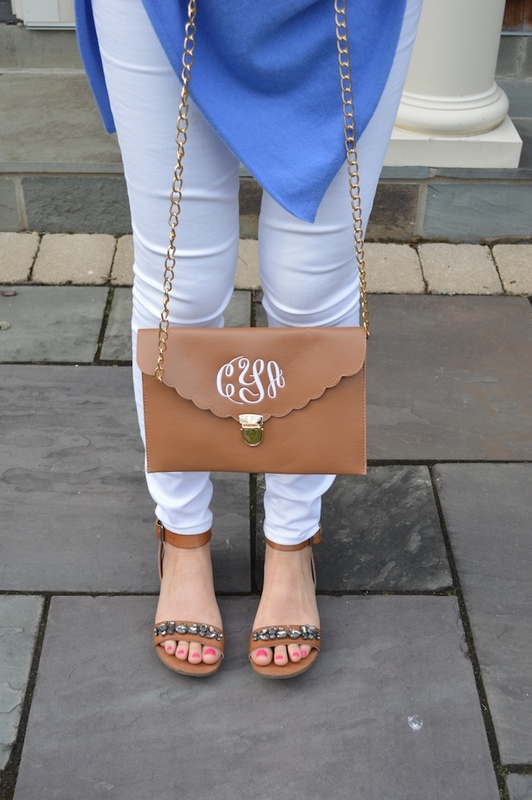 She has them in tons of different shades from hot pink to black and white color block to gray to navy; we both agree that they are the perfect piece for nearly every season of the year. I had never tried one on until recently because I thought ponchos were a bit mature for me, but I quickly fell in love with how soft and cozy it is! I am obsessed with blankets (chances are I'll have one wrapped around me if you ever walk into my house), and this is like a cashmere blanket you can wear in public! 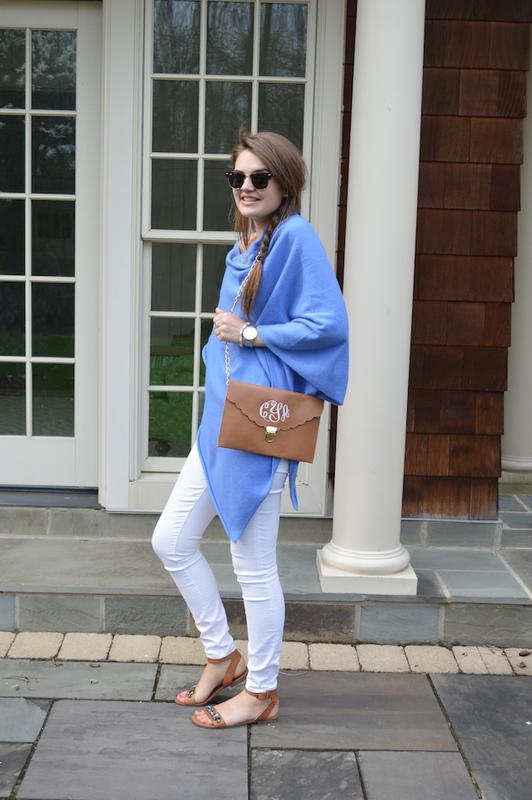 Whether you wear one with white jeans and Jack Rogers for a bonfire on the beach in summer or with leggings and booties for running errands in the fall, you can style these ponchos in so many different ways and they're truly one of the most versatile pieces you can have in your wardrobe. They're seriously perfect for everyone and their mothers. 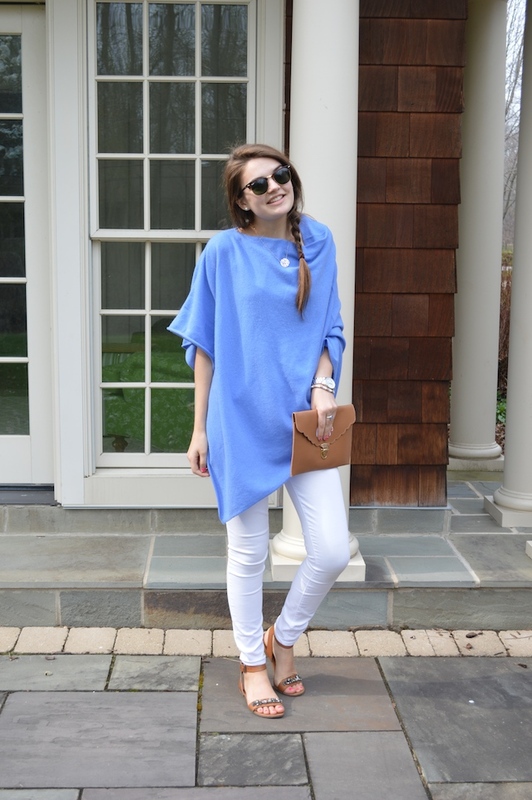 That being said, what better Mother's Day gift than a cashmere poncho in a fun color? Anna Kristine has the most beautiful plethora of cashmere wraps and ponchos and I highly recommend checking them out! My mom (or G as I like to call her) buys the majority of her ponchos from this boutique and they're such great quality. Are you a fan of ponchos?